​Gary Cahill's recent quotes about potentially leaving Chelsea have strongly divided the club's fan base. When it comes to the defender, there are three groups of Chelsea fans. There is a banner at Stamford Bridge which praises the fact that ​Cahill has won every possible trophy during his time at ​Chelsea. It took Cahill just three years to win each and every available competition at the club, which makes him the fastest player to ever achieve such a feat. However, things are not as rosy for Cahill this season. He seems out of favour under Maurizio Sarri, after frustrating fans with disappointing performances under Antonio Conte last season. 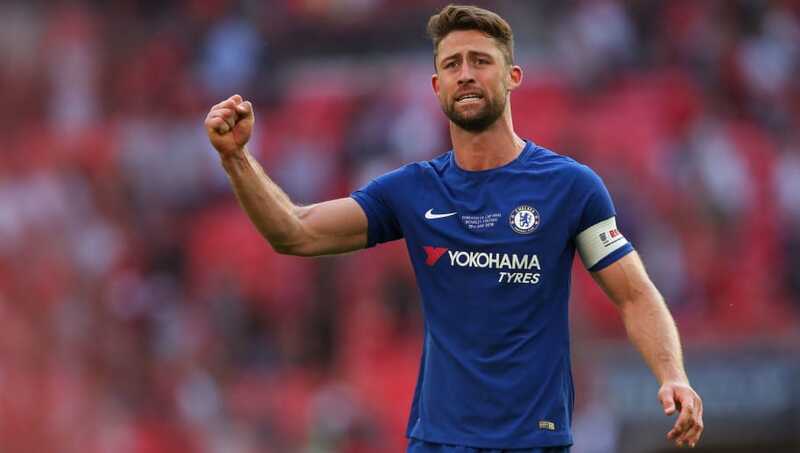 The 32-year-old ​admitted that, should things stay the same, he will likely request a transfer from the club, and Chelsea should give Cahill the respect he deserves and grant him his request. Chelsea were in a similar situation with legendary goalkeeper ​Petr Cech in 2015. After years of unwavering dedication to the club, Cech found himself out of the squad in favour of Thibaut Courtois. He respected the club's decision, but asked for a transfer as he still felt he was capable of playing regularly for a ​Premier League team. The club was happy to grant his wish, allowing Cech to join arch-rivals ​Arsenal in a move which was widely viewed as a real bargain for an Arsenal side who had been lacking a true quality goalkeeper. It was tough for the fans to take, but Cech will always receive a huge amount of respect from everybody involved with Chelsea, and Cahill should be no different.